[Update]: 91mobiles has now learnt that the smartphone will go on sale in India starting February 15th across offline stores as well as Flipkart. 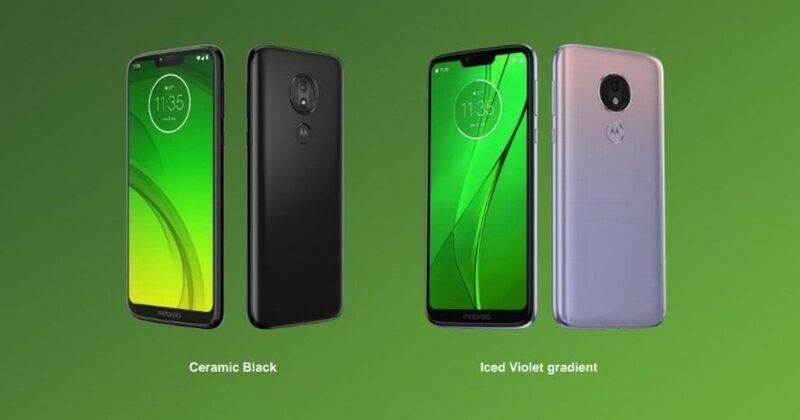 Motorola recently launched its Moto G7, Moto G7 Play, Moto G7 Power, and Moto G7 Plus smartphones at an event in Brazil. While there has been no official statement regarding the Moto G7 series’ India launch, Mumbai-based retailer Mahesh Telecom had claimed a couple of days back that the Moto G7 Power will be launched soon with a price tag of Rs 14,500. Now, 91mobiles has learnt from retail sources that the smartphone will be launched in a single variant and at an even lower price point. According to our sources, the Moto G7 Power in India price in India will be Rs 13,999; this pricing will be applicable in offline stores and we could not ascertain how much the handset will cost online. However, our sources did confirm the handset will be launched with 4GB of RAM and 64GB internal storage. To recall, Mahesh Telecom had said that the phone will be offered in a single ceramic black hue in the country. Unfortunately, there is no word on when exactly the smartphone will land in India. To recap on the specifications, Moto G7 Power ships with a 6.2-inch display with 720 x 1,520 pixels resolution. Driving the performance of the handset is the Qualcomm Snapdragon 632 SoC, which is an octa-core chip clocked at 1.8GHz. As is the case with Moto series handsets, the G7 Power will boot the Android 9.0 Pie in its stock avatar out of the box. In the camera department, the smartphone comes with a 12-megapixel shooter on the back and 8-megapixel snapper on the front for selfies. A massive 5,000mAh battery completes the spec sheet. We will bring you more updates on when the smartphone will launch as we get to know about it, so stay tuned.